As I frequently say to my friends, "they sure make better toys now than when we were kids". Makes me feel not quite as bad about my crazy mother throwing everything out. 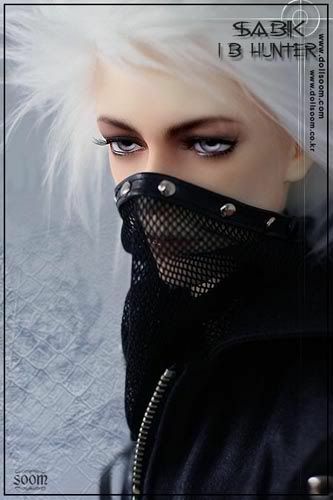 About a week & a half ago I visited strangemuses & got to see the lovely asian ball jointed doll she'd just gotten (a Luts "Moon) and he is just gorgeous. 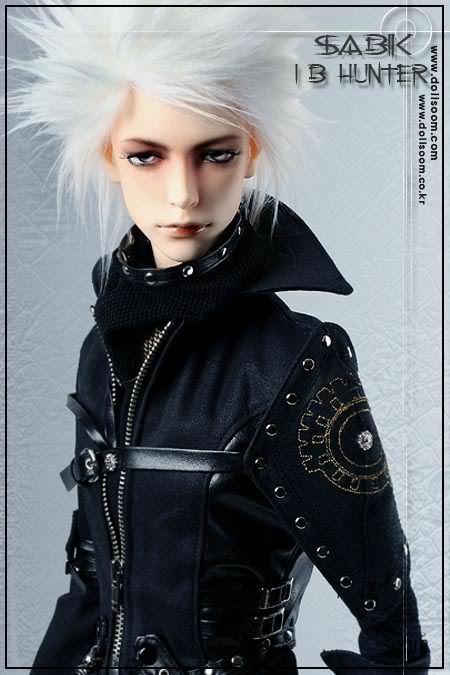 I'd admired these dolls for years - I first heard about the early Volks Dolfies about 10 years ago when I got a Volks catalog at a model soldier show where they had a booth and I'd bought a few of their Devilman/Silene resin garage kits & noticed that the Dolfies were sculpted by the same artist, Akhiro Enku. 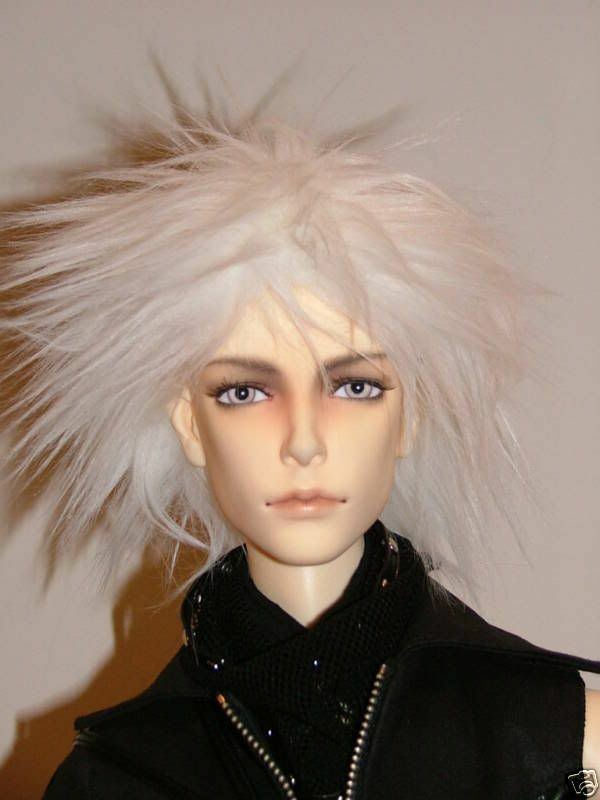 Over the years I've seen a few dolls here & there, mainly being carried around at Anime cons or the DC Cherry Blossom fest and I generally swooned a bit over them & took pix & complimented their owners and surfed ebay enough to know they were on the pricey side. So strangemuses has been sending me some links & while at her place she showed me some websites & a message board dedicated to them that I've since joined and now I'm feeling a bit like a crack addict :) I had no idea how fast this hobby had progressed and some of these companies are doing pieces now that totally blow those early Volks dolfies I'd originally seen out of the water. My favs by far are the larger ones made by Soom and Souldoll, both of Korea as the sculpting on them is just amazing and their larger pieces are the more "adult" dolls that I'm drawn to with relatively realistic proportions. (I've never really cared for dolls of children or ones with very exaggerated head/eye sizes as many anime influenced ones have). Soom also makes a line of limited figures that are convertible into mythological type creatures by switching legs/heads/removeable horns etc that are quite remarkable. And already I've bought him a little wife beater on ebay & ordered some new wigs and different color eyes as well as some adorable little leopard print boxer shorts from Soom. And looking around thinking what else I would like eventually - I am doomed! 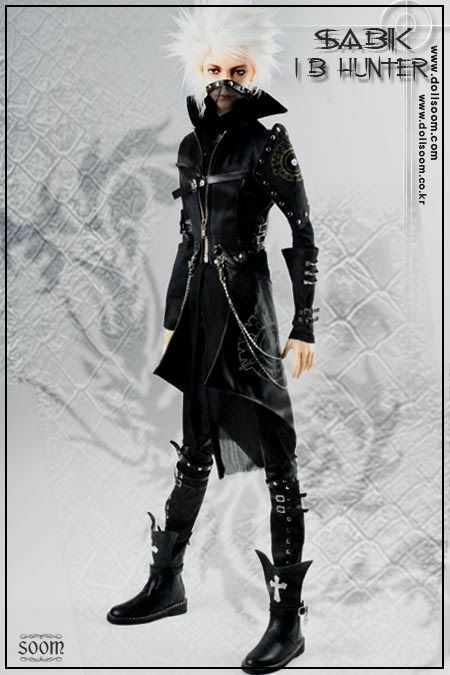 I'm am REALLY leaning towards this fellow by Souldoll as he really reminds me of my favorite manga character and would be cool to customize into him.... And strangemuses was nice enough to point me to a place in Colorado that sells them (way cheaper shipping than from Asia!) and take layaway. I'm doomed, just what I need, another expensive hobby LOL! Lead me not into temptation.... I can get there just fine on my own! 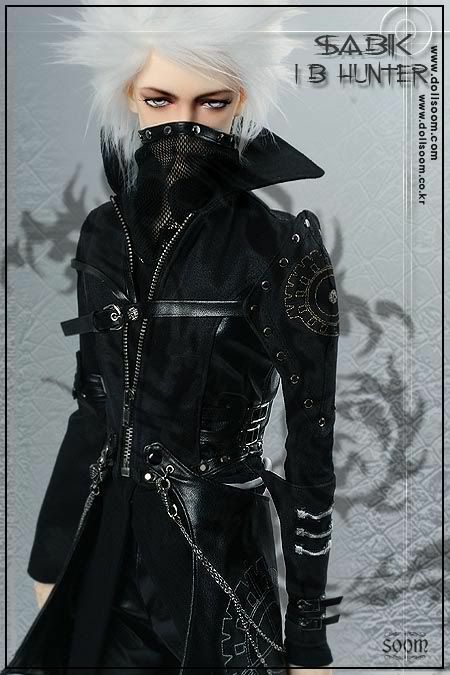 and here's one copped off ebay of the actual fellow I am getting, he was mailed out yesterday so should be here soon!